Cables are great quality (important) , and excellent price. Win Win. No Wi-fi on your desktop PC - No worries! If you have a spare PCI slot in your PC case then this is the card for you. 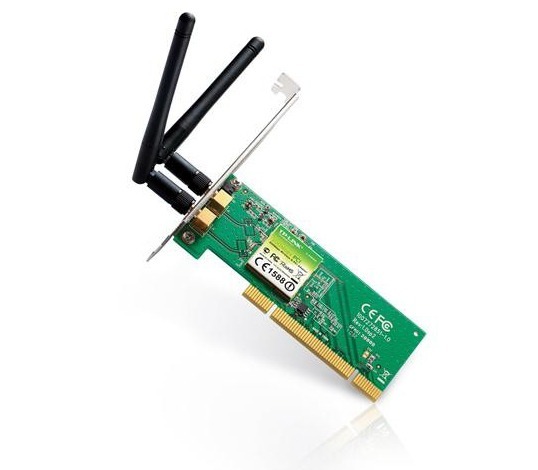 This Wireless N PCI Expansion Card lets you add 300Mbps Wi-Fi capabilities to a desktop PC with an available PCI expansion slot. Supports Windows operating systems from Win 2000/XP to Windows 7, and is seamlessly compatible with 802.11n/b/g wireless networks. Cabled network connections are great, but lets face it, it's not always possible to run cables throughout your home or office, and nothing unclutters like going wireless. So now you can enjoy fast 300Mbps wireless speeds for all your gaming, Youtubing and (of course) office needs, via a low cost Wireless N PCI expansion card. Quick Security Setup - Compatible with WI-FI Protected Setup™ (WPS), the Quick Security Setup (QSS) function is ideal for creating a WPA encrypted connection to prevent outside intrusion. Not only is this faster than normal security setups, but also more convenient as you don't need to remember a password! The service was great and the delivery was prompt. Will definitely purchase from you again.